My son loves this book; we read this since he was about 9-m. The main purpose of this book is to teach about colors and textures. 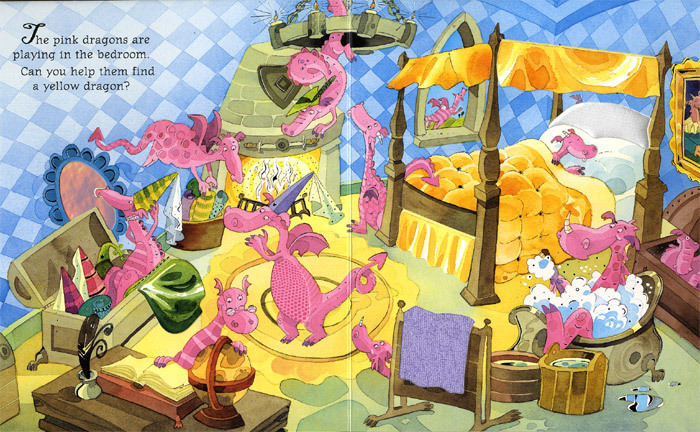 Each page is set on different scenery and is didicated for one color; the baby will have to look for a hidden dragon of different color. There are a lot of textures for the babies to touch and a lot of flaps for them to flip open. This is a great book for babies to play and explore textures and to learn about colors. 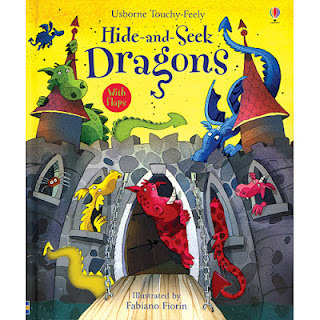 We have bought also books of the same series, like Hide-and-Seek Dinosaurs, Hide-and-Seek Cats. But we found the one of Dragons is the best.